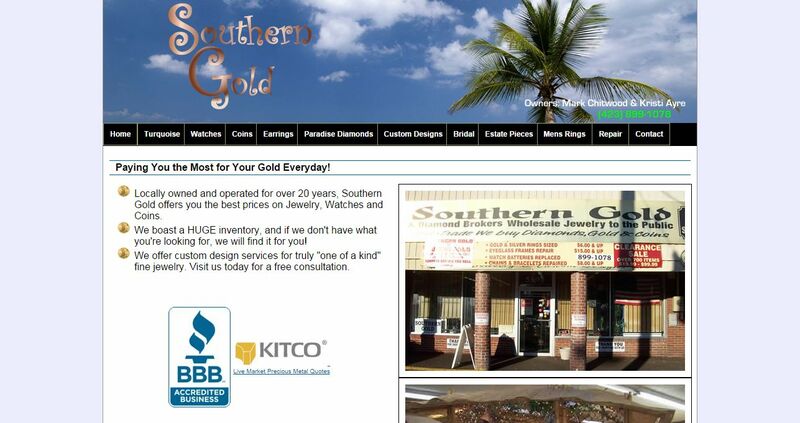 Southern Gold address, phone, website, hours of operation, and more. Locally owned and operated for over 20 years, Southern Gold offers you the best prices on Jewelry, Watches and Coins. We boast a huge inventory, and if we don’t have what you’re looking for, we will find it for you! We offer custom design services for truly “one of a kind” fine jewelry. Visit us today for a free consultation.